The club’s main purpose is to provide students who are interested in cybersecurity with the more advanced technical skills and resources required to progress through their computer security careers. To achieve the mission, the club will host monthly meetings where we discuss and practice hands-on cybersecurity concepts, including, but not limited to, network security, digital forensics, secure coding, cryptography, and reverse engineering. On top of this, we will outreach to local companies and organizations to speak at our meetings and promote their work in computer security. National Cyber League Challenge (Online): The NCL is a defensive and offensive puzzle-based, capture-the-flag style cybersecurity competition. Its virtual training ground helps high school and college students prepare and test themselves against cybersecurity challenges that they will likely face in the workforce. ITENWired competition (Local): Demonstrates advanced techniques developed through the Department of Defense to emulate the cybersecurity domain of the future. 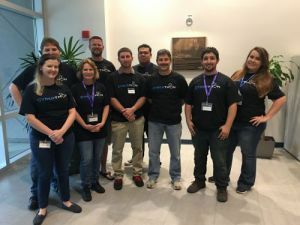 ITENWired provides hands-on interaction with the Florida Cyber Range, which rapidly develops/validates the knowledge and skills needed for the protection of critical national infrastructure. 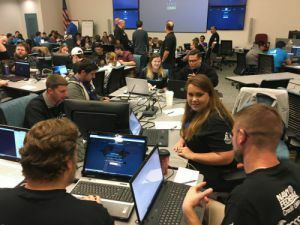 Cyberthon (Local): CyberThon offers Northwest Florida unprecedented cybersecurity awareness and learning opportunity. During this three‐day weekend, participants will be mentored through an understand of how attacks against process control systems could be launched, why they work, and provides mitigation strategies to increase cyber security awareness related to control systems networks.